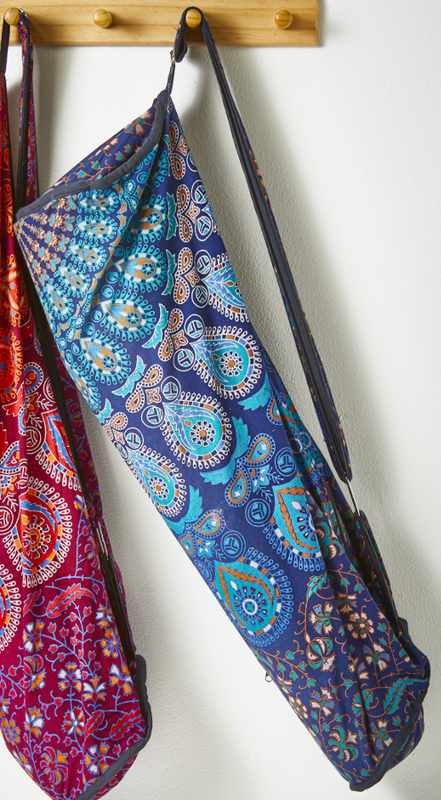 This Namaste yoga bag has a glorious turquoise tone to it – decorated with an exquisite peacock feather style pattern throughout. 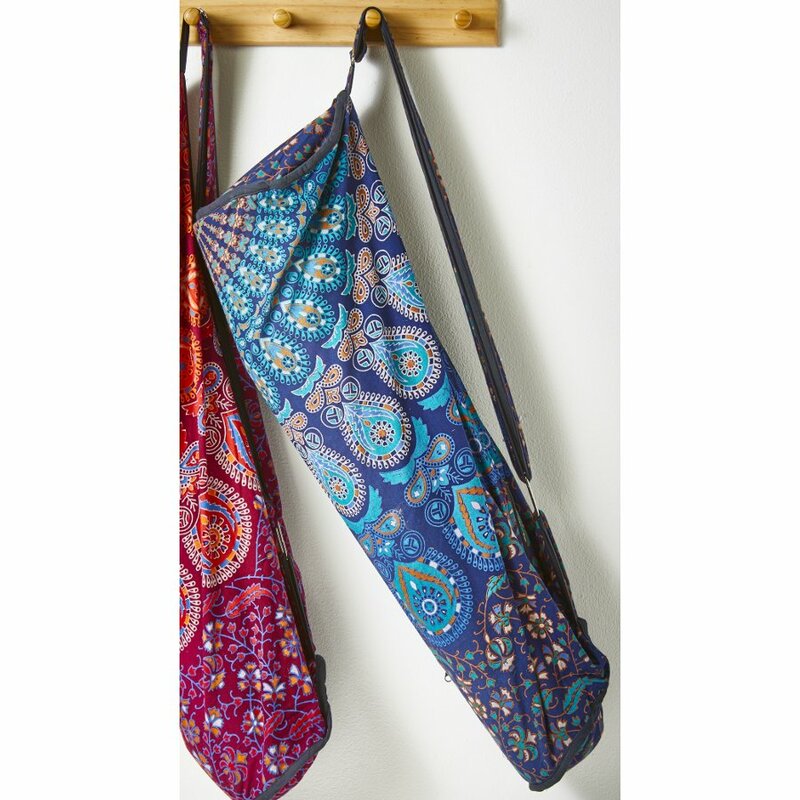 Every yoga bag is made using cotton and remains completely free from animal products. They are made by hand within a fair trade environment that passes the requirements for BAFTS certification (British Association for Fair Trade Shops). Bags are made in India by skilled workers who earn a fair wage and sustainability for them and their families. The Yoga Bag - Turquoise product ethics are indicated below. To learn more about these product ethics and to see related products, follow the links below. There are currently no questions to display about Yoga Bag - Turquoise.